Film-ratings systems in the United States have a history of contention. 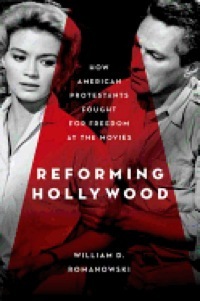 But one aspect of the first attempts at imposing a code, in the 1930s, has been largely overlooked, writes William D. Romanowski in Reforming Hollywood: How American Protestants Fought for Freedom at the Movies, which Oxford University Press issued in July 2012. Industry honchos had adopted the Code in an effort to improve an image that they believed had tarnished due to some stars’ scandalous indulgences. The Catholic Church cannily harnessed the industry’s guilty conscience, seeing an opportunity to advance its own standards. In 1934, Catholic agitation resulted in a lay Catholic being appointed to head the Production Code Administration. Catholic influence was, then, overt. But the influence of Protestant church officials and members was subtler, so it has been less well documented, Romanowski notes in his book. 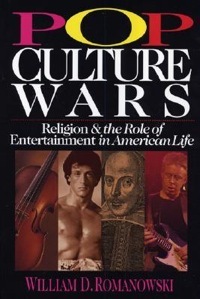 The role of religion in American cultural life has long been Romanowski’s specialization. 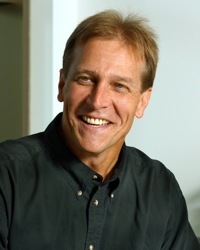 His previous books include Pop Culture Wars: Religion and the Role of Entertainment in America Life (2006) and Eyes Wide Open: Looking for God in Popular Culture (2007). His reputation is as a commentator who believes the millions of “Christians who drink beer” can safely partake of much popular culture even though evangelical mores often discourage running the risk of any exposure. As a result, goes the received view among film historians, Protestants played only a minor role in the MPPDA, viewing it as a dull tool for suppressing expression they considered objectionable. They could reasonably believe that Hays would represent their interests from within the industry; he was, after all, a Presbyterian teetotaler who favored Prohibition. 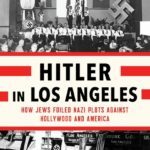 Not so, Romanowski demonstrates: “My research reveals that Protestants occupied the top leadership positions in both the MPPDA and the Committee on Public Relations” which Hays had set up to facilitate discussions among film producers, national civic organization, and the churches. So he asks: Why have Protestant-Hollywood relations after the ascendance of the Production Code Administration largely escaped notice? Why, in the telling of the struggle for cinematic freedom, have Protestants “been cast as unrelentingly censorial and pitted against both movie ‘czar’ Will Hays…and Catholics who opposed government regulation,” preferring to impose moral strictures themselves? His book answers those questions by detailing Protestants’ overlooked engagement and compromise with Hollywood. In the early 1950s, the U.S. Supreme Court acknowledged that the U.S. Constitution’s guarantee of free speech extended to film – hardly, upon reflection, a remarkable feat of jurisprudence. But by then the industry’s measured form of censorship was firmly in place. 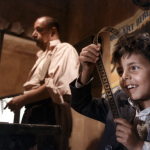 It remained in force until 1968 when the MPPDA’s successor organization, the Motion Picture Association of America, replaced it with its new MPAA film rating system, which is in theory voluntary, but in reality almost unavoidable and potentially ruinous even to movies made today. 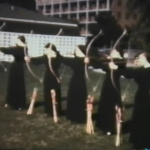 The story of how the film and religious sectors reached that point of stable albeit vexed guardianship needed a fuller account, Romanowski believes. And he has no doubt that his findings will offer film historians a fresh view of America’s grapple with movie-related moral anxieties. This research was triggered by a reference in an unpublished dissertation to an article in a rather obscure religious journal in the late 1960s. The writer maintained that it was “no secret” that the Motion Picture Association of America consulted with Protestants and Catholics in setting up the movie rating system in 1968—a disclosure that ran against the grain of the prevailing view of Protestants as Hollywood’s longtime adversary. I sought out those aging Protestant leaders, who consented to interviews and gave me access to their personal papers. Their experiences, in turn, directed me to the Presbyterian Historical Society in Philadelphia where the extensive collection of the Federal/National Council of the Churches of Christ in the USA is kept. There I uncovered the names of key people, movies, and events and began charting the history of Protestant negotiation with the film industry. Reconstructing the Protestant side of the “dialogue” presented two main challenges. One was to uncover the religious affiliation – if any – of key players in the film industry and non-church organizations. The Presbyterian credentials of Will H. Hays are familiar enough, even if his relations with the Protestant establishment are not. I also discovered that Hays’ associates, Carl Milliken and Francis Harmon, were active in their church denominations and the Federal Council of Churches as well. 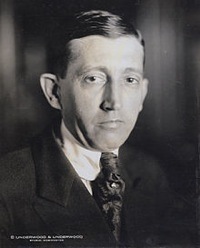 The Indiana State Library is well-known as home to the Hays collection; Harmon’s papers are included the Kautz Family YMCA Archives at the University of Minnesota. Another challenge was to track down the records of Protestant individuals and organizations. I found the papers of Congregationalist George Reid Andrews, who consulted on Cecil B. DeMille’s The King of Kings (1927), at the University of North Carolina, for example. And with that and other information, I could focus my examination of the DeMille files at Brigham Young University. The discovery that Protestants served on the National Board of Review of Motion Pictures led me to that collection at the New York Public Library. 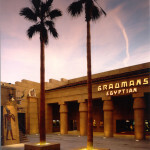 Considered from the Protestant angle, these archival findings paved the way into the studio collections at USC, and of course, the extensive Production Code Administration Archives at the Margaret Herrick Library, which were essential to reconstructing the film industry side of the conversation.